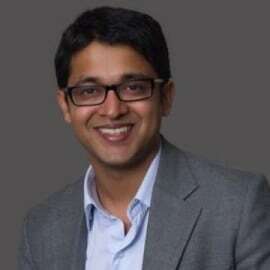 Gaurav is Asia Director and founded the Mumbai, Singapore and Delhi offices. He heads the Energy practice globally and also helps social and private sector organisations with measuring impact and drive greater organisational effectiveness. He has co-authored some of the leading reports on the off-grid lighting sector including the Lighting Africa trends reports in 2010/2012 and has led the upcoming report on energy efficient appliances, commissioned by Global LEAP. Outside of Dalberg, Gaurav is a serial entrepreneur and has setup two boutique eco-tourism hotels, an ethical fashion brand, a think-tank on tribal affairs and a green travel company. In a past life, Gaurav worked as a management consultant with the Boston Consulting Group, in their Sydney and London office. He read Philosophy, Politics and Economics at Oxford and holds a Masters in International & Development Economics from Yale.